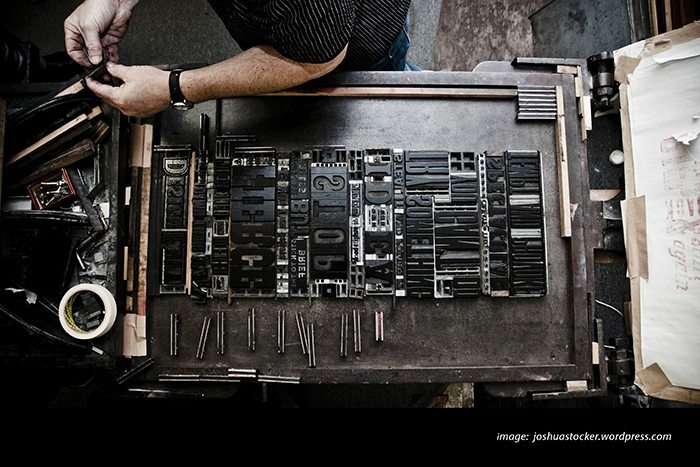 Ball State Students LOVE Letterpress, Typography and Yes, PRINT! Ball State University Students LOVE Letterpress! Earlier this year the fabulous students from the Book Arts Collaborative, a Ball State University cottage industry dedicated to bookbinding and letterpress printing, approached me to help them share their LOVE of PRINT by posting and sharing some content here at PMC. It has taken me WAY too long to get these our to all of you – my apologies for that and to the students who did a GREAT job with the content below. Enjoy! A Printer’s Devil: A 21st Century Journalist Living in the Age of the Press – Kayla Bickham describes her experience at the Books Art Collaborative. Trendsetting Type: Typography as a Reflection of Culture – Marisa Sloan talks about the importance of typography and how it reflects our culture. Printers Speak about the Wisdom Letterpress has Shared – Tier Morrow describes the struggles and joys of using a printing press and the people who are keeping the art alive. Rediscovering the purpose of books in a digital age – Gordon shares thoughts on the purpose of books in the digital age. An extraordinary league of printers with a secret language – Lauren Hansen speaks with a student, professor, and letterpress owner to dive deep into their love of letterpress printing. Seeing the Beauty in Imperfection: How a Ball State Student Learns More than just Letterpress from an Ancient Trade – Tier Morrow tells the story of her time at Books Art Collaborative. Letterpress gave my mom purpose, then time took it away – Lauren Hansen talks about how a “cool immersive-learning class” bonded her and her mom in an unexpected way. 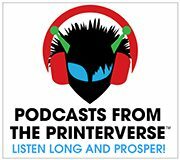 The Printing Pusher and the Apprentice – Gordon shares an experience with a professor that pushed them into a passion project. Spreading the Knowledge of Letterpress One Card at a Time – Tier Morrow tells the story of Little Cricket Letterpress. From iPads to Letterpresses – Gordon shares how a group of young students learned how to run a letterpress. The Apprehensive Apprentice: How a Bibliophile Found a Community in Letterpress – Marisa Sloan shares how her love of books got reignited with the introduction of bookbindery. Fascinating profiles! Really inspires me to find a letterpress or bookbinding class locally. Keep up the tradition.